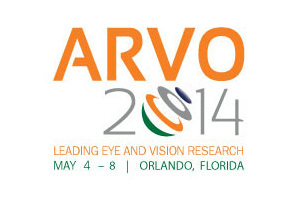 The Orange County Convention Center in Orlando will become the nerve centre of ophthalmology when it hosts the 2014 Annual Meeting of the Association for Research in Vision and Ophthalmology (ARVO) from 3-8 May. 11,000 international researchers will gather for the event, which will be themed “Leading eye and vision research”. Prior to the Meeting, the ARVO/ISIE Imaging Conference will take place on May 3. This is a forum for presentation and debate on eye imaging techniques and applications in clinical ophthalmology, vision research and biomedicine. In addition, there will be a series of courses on a wide diversity of topics such as diabetic retinopathy and cell therapies in eye problems. The Meeting officially opens the following day, May 4, where experts including Dr. Jordi Monés, the Medical Director of the Barcelona Macula Foundation and Ophthalmologist who specialises in the macula, retina and vitreous, will have the chance to attend lectures, courses, expositions and presentations of new projects. The most noteworthy topics over these five days include: molecular genetics in clinical practice, molecular mechanisms in patients affected by Age-Related Macular Degeneration (AMD), neuro-ophthalmology, mechanisms in retinal degeneration and angiogenesis, glaucoma, diabetic retinopathy and corneal infections and inflammations. Of special interest is the lecture presented on Wednesday May 7 by Dr. Paul Sieving, the Director of the National Eye Institute, on “Audacious Goal Initiative (AGI) of regenerating neurons and neural connections in the eye and visual system”. The session will feature debate on the financing needs for this initiative, together with the opportunities of addressing it in the field of molecular therapy.